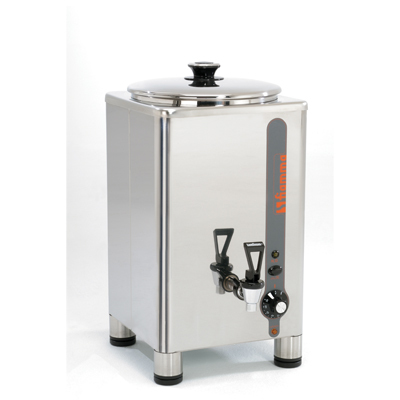 Equipped with electronic water level control and excellent isolation, the fiamma drink dispenser guarantees drinks at perfect temperature. A flexible valve and the removable drinks container make cleaning quick and easy. Perfect for milk and coffee. Adjustable temperature from 0 to 85°C.